Dr. David M. Pittman DMD, a native of Bowling Green, KY, did his undergraduate studies at Western Kentucky University. He went on to the University of Kentucky where he graduated from the School of Dentistry in 1997. Dr. Pittman is a member of the American Dental Association, Tennessee Dental Association, Nashville Dental Society and Woodmont Study Club. In the past he has served on the Nashville Dental Society’s Board of Trustees and as a Delegate to the TDA. 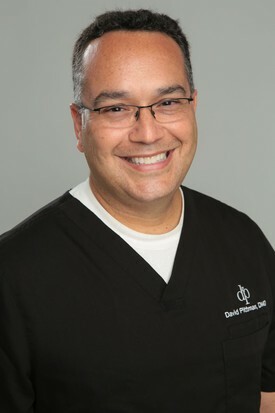 Dr. Pittman was chosen by his colleagues to stand on the Dental Peer Review Committee for the Nashville Dental Society. Dr. Pittman volunteers and supports the Interfaith Dental Clinic, a volunteer run dental clinic that provides dental care to the working poor in the Nashville area. He also supports the Best Buddies, Blakemore Children’s Center, West End Middle School and Sylvan Park Elementary. Dr. Pittman is married to Chelle Baldwin, they have two sweet and energetic girls, Rosie and Aly. When Dr. Pittman is not practicing dentistry you’ll find him running the greenways in Nashville, golfing a little, following his favorite sports teams and trying to keep up with his two girls. Dr. Pittman is dedicated to serving the community by providing the best that dentistry has to offer.